Bath tub body with recessed ram housing. 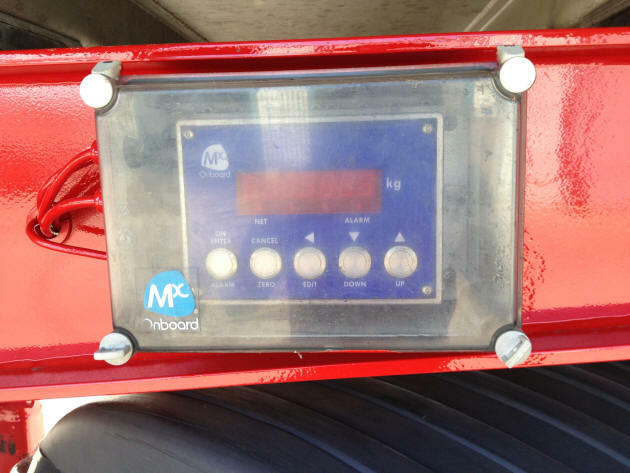 Electric easy sheet on red chassis trailer. 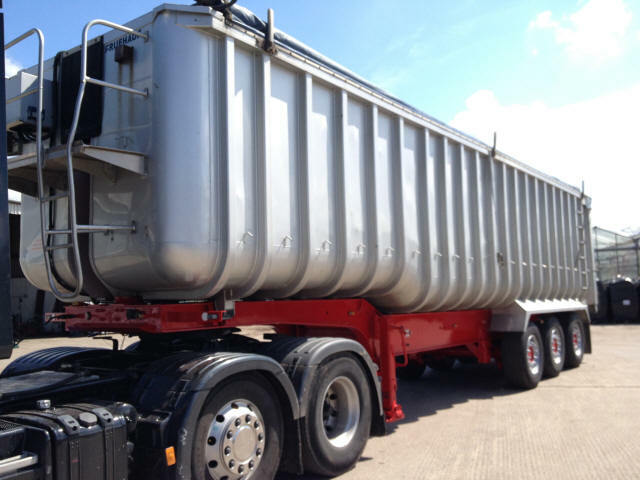 Manual easy sheet on black chassis trailers. Mercedes axles & air suspension. Tyes: 385/65x22.5 approx 80% to the good on average. 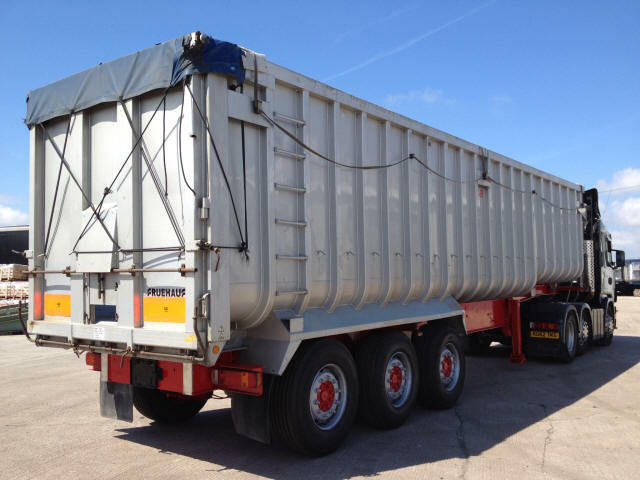 UK plated weights: 38Tonnes GVW, 8Tonnes / Axle, 15Tonnes imposed. Red chassis trailer expires May 2013. 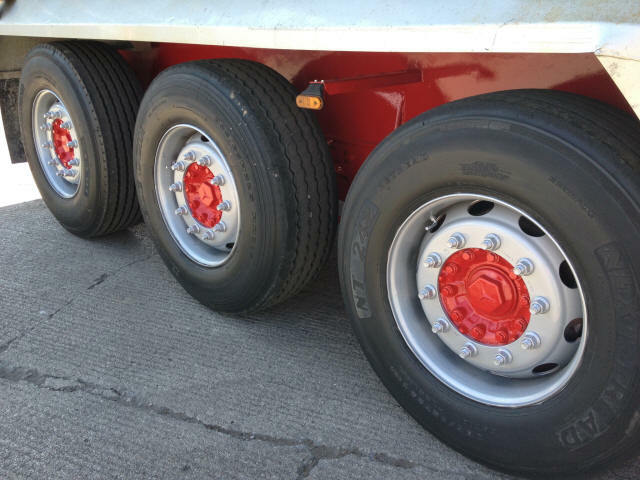 Black chassis trailers will have new 12Mth MOTs. Recent new paintwork and in very good working order throughout.